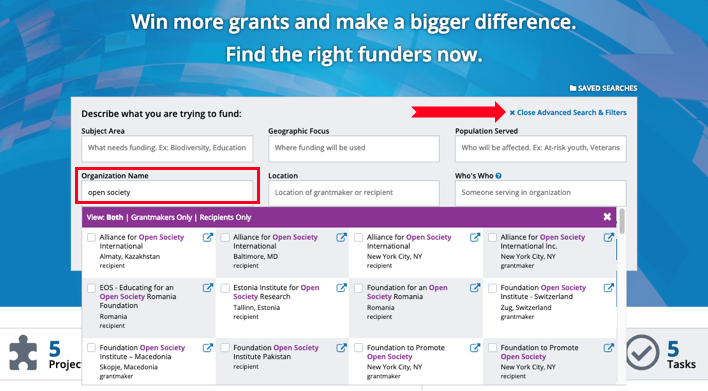 Does the grantmaker accept applications and should I even consider this funder if they don’t? “Do they, or don’t they?” It’s a tempting question to start with when doing grant prospect research, centering on whether or not grantmakers accept unsolicited proposals. It seems like an easy non-starter to help you filter out prospects, but in reality, the question of whether to consider funders not accepting unsolicited proposals is a bit of a catch-22. On the one hand, it’s not likely that a cold proposal to a grantmaker that doesn’t accept them will get anywhere; on the other, imagine how many proposals grantmakers that do accept unsolicited proposals have to sift through. The likelihood of yours rising to the top suddenly doesn’t seem much better. There’s a better way to prospect, and it requires longer-term vision and relationship cultivation. It requires a deeper dive into the grants a grantmaker is making, and centers around a deep knowledge and belief in your own work and mission. Ideally, your prospect research will help you narrow down a list of foundations with giving that reflects your cause, your locale, the population you serve, and your mission. 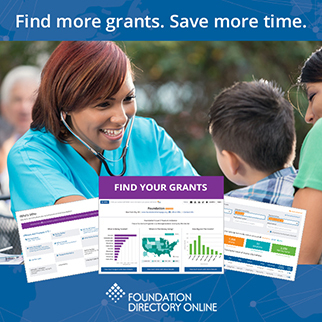 From there, you further narrow down the list by selecting foundations who historically giving grants similar in size and scope to what you are looking for. Do not disregard prospects that fit your work and mission in every way just because they do not accept unsolicited proposals. Make sure program officers we want to partner with are on newsletters about our work, so that they can begin to see and understand our work in real-time, and so that we remain on their radar. Network! Make in-person connections at events. Ask questions about other people’s work, and be excited about your own. An event is rarely the best time to ask to apply for a grant, but it’s a great way to start building a relationship that could turn into solid, long-term support. Connect the dots: research who works where and who you know, and ask someone in your circle to make a warm introduction for you. If you're an FDO user, take advantage of FDO's LinkedIn feature to learn more about key staffers and leverage your connections for the introductions you need. Send your prospect news coverage or other interesting materials that cover the work you do that also aligns with theirs. Be savvy on social media. Connect with them online. Share good content, and ask good questions. This will also help you better understand funders’ changing interests! Invite them for an onsite visit! Ask them to come tour your office, see your work, come to an event. Let them see the value of your work with their own eyes whenever possible. You also never know when a funder might start accepting applications, so approaching funders that are a good fit can give you an advantage in the future. (FDO lets you know in real-time when RFPs are available.) Get to know funders and inspire them to get to know you, so that when the time is right, you’ll be top of mind to receive an invitation to apply. It seems easy to send off cold proposals to whomever will accept them; but it rarely ever pays off. Build yourself a thorough and thoughtfully researched prospect list, and then consider your best approach. Think outside the box. Prioritize building relationships with funders who you truly believe would make excellent partners and who will both value and improve your work. Don’t stretch your work or water it down into something it isn’t just to fit criteria of a funder who is easy to apply to; believe in your work and focus your development work on finding funders whose missions truly align with yours.